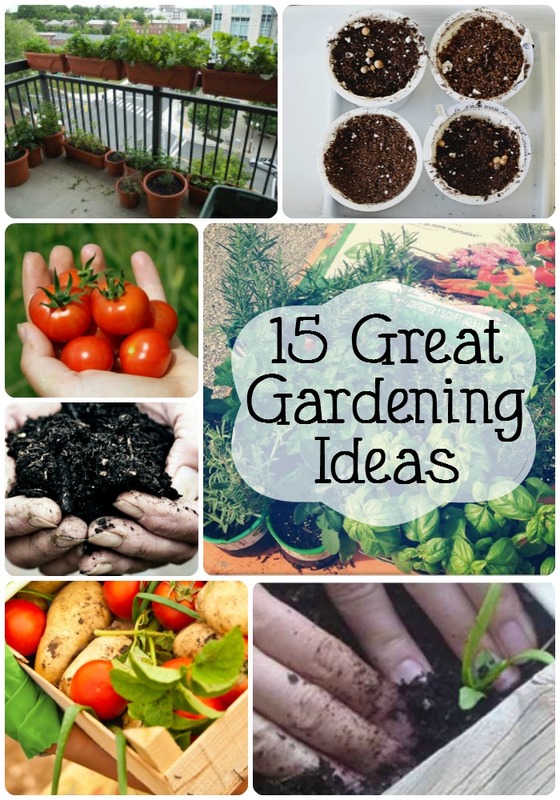 15 Great Gardening Ideas will help you make the most of your outdoor space this year. This post also contains an affiliate ad at no extra cost to you. Spring is here! I love growing things. It is one of the passions I only discovered when I bought my first house with my husband. Until then, I joked I was a serial plant killer. I could kill pretty much any houseplant given to me. BUT, given an outdoor garden and a genuine yard, that all changed. I started off growing the things I loved and quickly found that I enjoyed how therapeutic it felt. That said, I can always use some help figuring out how to grow specific things, and how to help grow certain vegetables and prevent pests. This year I am looking at container gardening. How about you? Gardening is one of those things I now enjoy doing because I find it relaxing and sometimes there’s a little bit of fitness involved too. Are you a green thumb or a brown thumb? What kinds of things do you love to plant? Jennifer: No problem. I hope so too! My garden is one of my top three passions. I just started seeds indoors for the first time this year and was wondering about transplanting. Thanks for sharing these great articles. Thanks so much for sharing my gardening post! Everything looks so green and lush in my backyard right now! I definitely have no green thumb and my small garden is probably very laughable considering I don’t tend to it. Both my parents love gardening though so I will definitely pass on your tips and maybe they can learn a few things. So many great ideas! Can’t wait until we move to a house I can actually have a garden at! I miss my old garden back home and how fun I had with my kids gardening! This is such a great collection! I love the coffee pod seed starters. This post is so perfect for me this year! We moved from Rhode Island to Florida, and I am SO excited to have a little garden this year. Thanks for this great collection! I should have gotten a head start on gardening this year but it’s not too late. I have to try some of these out! Your guide to great compost is very useful and helpful as I am starting my compost this year. I can’t wait to transfer my seedling in the garden. This is a great post for me. I am planting my first garden this year. There is so much great information here. I love this, the boychild has been asking to do some gardening. I think I will go ahead and try it. So many great ideas. I wish I was better at gardening- I WANT to be, but I always seem to fail at it! Thank you so much for the great tips! I started a tiny garden this year with my kids and they love it. Thanks for all of the great ideas. I cannot wait to get started in my garden this year. These are really great ideas! As a family we’re really getting into gardening and you’ve given me some new ideas for our garden. Thank you! I love your ideas! I’m definitely trying some soon. Really want to improve my garden. I’m glad your luck has changed! We have a deer and bunny challenge when we grow. I’ve yet to figure out how to properly deter them. I wish I had a green thumb. I would love to grow a garden! I may have to give a few of these a try anyway! 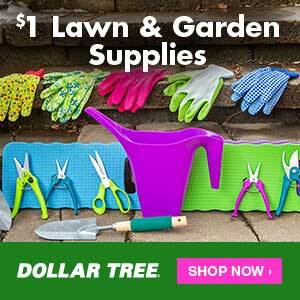 Excellent roundup of gardening posts. With the price of vegetables getting so high, I’ve thought about planting my own and this would be a great resource to draw inspiration from. Aww what a great post and tips! I LOVE gardening so much and aside from allergies, I’m happy about spring! It make me happy to see one of my posts in this round up! 😉 Making those k cup seed starters was so much fun! I am so sad that I haven’t been able to start gardening yet. It’s been too cold still but I cannot wait! These are great tips! Unfortunately, I don’t have a green thumb at all but I will pass these tips onto my husband! Vertical gardening is something that has caught my eye; I just don’t have anywhere to do this. I want to do container gardening badly though. Thank you for sharing these wonderful ideas! I love to garden and have loved gardening ever since I was a child, thanks to my parents. I love to garden and this sounds like a fabulous idea! You’ve inspired me to work on my garden too! Thanks for sharing. As a coffee addict the Coffee Pod Seed Starters seem to fit perfectly with our home since I have a lot of extra coffee grounds to use. Thank you for the tips!